Let the greetings convey your heart feelings! 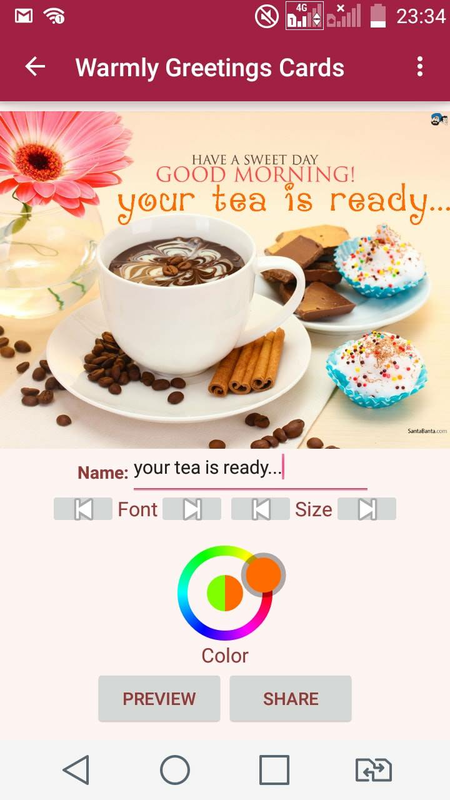 Warmly Greetings is a simple & quick app to share everyday greetings like Birthday, Anniversary, Holiday etc. with option to write name or text on cards. Greetings makes our life beautiful. Because even a simple goodmorning has the power to make someone feel inspired!